Nostalghia.com has received word from Russia that Andrei's sister Marina is currently working hard on her new book about the Tarkovskys. The book will contain some new facts about their family roots as well as rich biographical details. Watch this website for future updates on this book project. Thanks to Eugene in Ivanovo for the heads-up. Nostalghia.com has received permission from Sight and Sound to reproduce their article Tarkovsky's Choice. Tarkovsky's famous, and highly revealing, 1972 list of his top ten favourite movies is reproduced in this article. The Red Vic Cinema in San Francisco is showing The Sacrifice on Sunday January 6 (at 2:00, 5:00, 8:00), as well as a Chris Marker double bill: La jetée and One Day in the Life on Andrei Arsenevich on Monday and Tuesday January 7 and 8 (at 7:15 and 9:15). The Graduate School of Design in Pforzheim (Hochschule für Gestaltung Pforzheim), Germany, invites the general public to a lecture by Andreas Bär to be held on December 17 at 1600 hours, in Room 1.19. The title of the talk is Imprinted Time ("Sculpting in Time") and a discussion follows immediately after. During the presentation, original paintings by Andreas Bär will be shown which were created at the shooting locations of Andrei Tarkovsky's films. A screening of Nostalghia is also scheduled in connection with the event. Ingmar Bergman recently granted a rare interview to Reuters. This is also one of those rare (recorded) cases where he actually mentions Andrei Tarkovsky. See the article, Demons haunt cinema maestro. Thanks to Nostalghia.com Senior Europe Correspondent Harm Snel for notifying us of this Reuters piece. Great news from Florence: according to Corriere della Sera (6 December) Edizione della Meridiana have just published a full edition of Martyrolog (the diaries) in Italian, sponsored by the Institut International Andrei Tarkovski in Paris. A parallel Russian edition is being published in Russia, sponsored by the Tarkovsky Foundation there. No details on availability yet. The Dutch Film Museum today commences their Tarkovsky Retrospective Festival. The festival runs from December 6 through to January 24, 2002. All major Tarkovsky works, including several documentaries, are shown in selected cities across Holland. Full information, including photos and some posters, may be found at The Dutch Film Museum website. You may access the programme directly here. The National Gallery of Art, Washington D.C., will be screening Chris Marker's documentary One Day in the Life of Andrei Arsenevich December 6 - 9, in the East Building auditorium. It's official: RusCiCo announces the release of Stalker on DVD in December (no exact date yet). Attention, our Chinese-speaking audience. What is probably the first article in Chinese to systematically introduce the work of Tarkovsky to Chinese readers is now available for download via Nostalghia.com. The article, Andrei Tarkovsky: Redemption and Poetic Narrative, was written by Qing Liu of the Institute of Chinese Studies, The Chinese University of Hong Kong, Hong Kong, and is posted here with his kind permission. The article is simultaneously being published in the Chinese scholarly journal "The Twenty-First Century" (The Chinese University of Hong Kong). Nostalghia.com is proud to have been involved in the production of this article to some small degree, and it is our hope that the posting of the article here will aid significantly in its dissemination. Another delay from Artificial Eye (U.K.). Their Solaris DVD is now scheduled for January 21, 2002. Further, a price hike has taken place (for those who didn't preorder already), presumably an indication this may turn out to be a two-disk set. Thanks to Nick W. for constantly updating us on the latest from Artificial Eye. It appears the Artificial Eye (UK) DVD release of Andrei Rublov has been pushed back to January 21, 2002. Hessischer Rundfunk (HR, Germany) is screening Ivan's Childhood at 2245 hours local time tonight. The Russian Cinema Council (RusCiCo) announces that their Ivan's Childhood DVD is slated for release in January 2002. They state that Mirror is set for release in January 2002 as well (they had previously quoted December 2001 as the release date for Mirror). All disks will be Region 0, both PAL and NTSC versions will be available. An interview with Vadim Yusov, longtime Tarkovsky cameraman, has been added to our Topics' Section. Yusov is here uncharacteristically candid on why he declined to film Mirror. The interview is located here. The Dutch Film Museum reports that they will be arranging a Tarkovsky Retrospective Festival in Amsterdam, Holland, December 6 to January 24, 2002. New prints have been obtained for the occasion. Some Tarkovsky related documentaries will be screened as well (e.g., De Weg Naar Bresson, see our Documentaries section). A discussion developing here indicates that the upcoming Artificial Eye Tarkovsky releases may be direct ports of the corresponding RusCiCo releases. 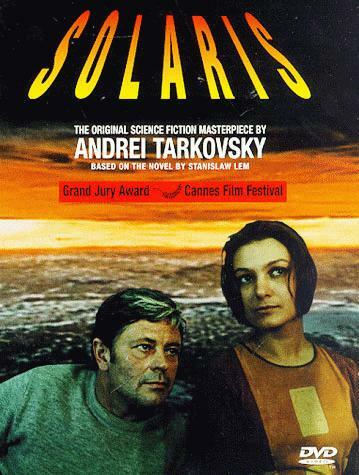 Artificial Eye (U.K.) has announced that they will release Solaris (159 min version) on DVD on November 19, 2001. 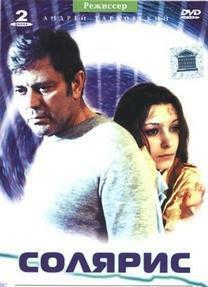 Further, their Andrei Rublov (174 min version) DVD is scheduled for release on November 26, 2001. Both disks are in PAL format. The Russian Cinema Council (RusCiCo) announces that both their Stalker and Mirror DVDs are slated for release in December 2001. The disks will be Region 0, both PAL and NTSC versions will be made available. A very interesting interview with Andrei Tarkovsky has been added to our Topics section. As we mentioned earlier (see one of the Aug. 1 notes below) it's a transcript of an audio recording made in Stockholm during the preparations for filming The Sacrifice. The interview was conducted by Jerzy Illg and Leonard Neuger who published it in 1987, in the first legal issue of the Polish quarterly "Res Publica" (which had been available illegally before, meaning without the Communist government approval. NB: in every country of the former Eastern Europe everything ever printed  including business cards and matchboxes  had to be approved by the government censor's office which, by the way, officially did not exist). Jerzy Illg is a journalist and editor-in-chief of the ZNAK Publishers in Cracow, Poland. Leonard Neuger is a professor at the Dept. of Slavic Languages and Literature, Stockholm University. We are greatly indebted to them for allowing us to translate and post this remarkable interview. And an administrivia message to our news-starved visitors: the site is being updated constantly, remember to check the SITE UPDATES LOG link above for the latest at any time. These updates were conceived mainly as a means of communication between the webmasters, so excuse the lack of any literary value whatsoever. Film director Terrance Grace has presented Nostalghia.com with a fascinating and highly relevant set of photographs that he took during his travels in Italy in the late 1980s. The photo gallery is located here. We have finally added the bibliographic references to pre-1989 Tarkovsky's interviews as originally published in The Tolstoy Complex. We received a very nice e-mail from PR at Turner Classic Movies explaining the absence of Tempo di viaggio at their Tarkovsky Television Festival. Yes, they are well aware of the documentary but it's the rights problem and TCM is unable to air it. Let's hope the legal status of the film clears up soon and in the meantime let's enjoy the Festival and all of its rarities. And on this web site there is a new page of fragments of Tarkovsky's early interviews regarding Andrei Rublov. The long (205 min.) version of Andrei Rublov. There is only one glaring omission: Tempo di viaggio, a 63-minute documentary directed by Tarkovsky, is not part of this Festival. Dear TCM, what happened?? A very interesting discussion is developing on the CriterionDVD bulletin board on the topic of differences between the Criterion and the RusCiCo Rublov DVDs. Follow the progress of the debate here. NOTE: The CriterionDVD bulletin board has apparently been shut down. You may browse our locally archived version of this thread. This is a PDF file, you will need the (free) Acrobat Reader. Read the discussion here. The eagerly awaited Andrei Rublov DVD from RusCiCo has finally arrived at Nostalghia.com and we are happy to report this release was well worth the wait. Not only is the (anamorphic) transfer quality very good but the 2-disc set includes several interesting documentary supplements: interview with Tarkovsky's sister Marina, a 5-minute short made on the set, a documentary about Theophanes the Greek, and a few film etudes. We don't know if the documentary from the set is Panfilov's student film we mentioned on this page on July 11. This DVD set is the "official" 185-minute version which Tarkovsky approved of although events leading to his approval remain somewhat obscure. The original 205-minute cut is available on a Criterion DVD and the two versions make a fascinating comparison: not only scenes were cut or shortened, also alternate takes were used. Finally, the previews of the upcoming RusCiCo releases of Mirror and Stalker included on the discs are themselves a revelation. First of all their quality is astounding. One had no idea what was captured on the original Eastmancolor camera negative: images of extraordinary sharpness and gorgeous color. The Zone from Stalker is simply beautiful to look at and actors' faces have an astonishing luminosity and... immediacy. Another surprise is that these previews are made mostly of outtakes  what a treat! We have just learned that the Turner Classic Movies (TCM) Channel will be broadcasting Chris Marker's Documentary "Une Journee d'Andrei Arsenevitch" in September during their Tarkovsky Retrospecive. Michal Leszczylowski's documentary "Regi Andrej Tarkovskij" will also be aired. Nostalghia.com is pleased to present, for the first time ever in English, the unabridged Tarkovsky interview by distinguished journalists Jerzy Illg and Leonard Neuger. In this exceptionally candid interview, Andrei covers some of the same issues he writes about in Sculpting in Time, but he here appears to be speaking more openly about some of them. Illg and Neuger are currently proof-reading the final version of the interview. It will be posted in its entirety once we get their go-ahead. For now, only a few preview-snippets are posted. The interview is located in the Topics' Section. we do have, though, and I will start working on those soon. Nostalghia.com is officially launched on Wednesday August 1, 2001 at 00:00:00 MDT. Hit-counter is set to "000000". The documentary that was shot on the set of Stalker. The documentary was to be funded by a German distributor (as mentioned in Tarkovsky's diary) but Goskino did, for some unknown reason, not allow it. The documentary was shot anyway, and Tarkovsky was contemplating selling it later to the Italians. The first version of the film (the one that got damaged in the lab). Portions of it (if not the whole thing - although unedited, obviously) were apparently saved and are quite watchable - the damage supposedly consists mostly of a strong green tint. This alone would be a fascinating supplement, for a 2-disk Criterion set. Excerpts from Tarkovsky's "Working Diary" (as opposed to the "regular" diary) where he made detailed technical notes regarding filming of all his films beginning with The Mirror. Evgenii Tsymbal's 53 minute 1998 documentary Stalker's Dreams. Andrei Rublov has been released on Region 0 DVD by the Russian Cinema Council (RusCiCo), sure to spark another round of debate regarding the distribution rights of Andrei Tarkovsky titles in North-America. We note (from RusCiCo's website) that the new release by RusCiCo is the 185 minute version of the movie. Criterion has the distribution rights for the title in English-speaking North-America. However, Criterion's disk contains the 205 minute cut, which is, presumably, the original 5642 m version from 1966. The movie was immediately after the 1966 premiere cut down to 5250 m and then finally to 5076 m (185 min). This 5076 meter version, now released by RusCiCo, is reputedly the one favored by Andrei. The long 205 min, 5642 m cut was not seen again until it was screened in 1988 during the retrospective in Moscow. The print was saved by the editor, Lyudmila Feiginova, who, according to nostalghia.com sources, kept it for about 15 years in her home, hidden under her bed. Criterion obtained a print through Martin Scorsese who was able to obtain it, and the rights, from his contacts in Moscow (Criterion, oddly enough, refers to this cut as the Director's Cut). In theory, therefore, since the two versions are very different, both versions invaluable to the Tarkovsky scholar, and since Criterion apparently has no plans of making this important alternate cut available as part of the Criterion Collection, RusCiCo would presumably have no problems distributing this title in North-America through their normal distributor, Image Entertainment. This remains to be seen, however. We are pretty sure that most Tarkovsky connoisseurs out there are quite eager to finally get their hands on both versions of this movie. Note finally that the RusCiCo version is in an anamorphic transfer, as opposed to Criterion's version. Now, if only someone would include Gleb Panfilov's little-known 1965 15-minute documentary from the set of Andrei Rublev on their DVD, as an extra, we would all be so very much happier! Thanks to Jan for these framegrabs. The image digitizer employed is cheap - image quality is sub optimal at best. These grabs are thus primarily suited for judging the difference in cropping. More realistic flesh tones may certainly be discerned, but notice how much better the DVD preserves Andrei's intended framing (top, bottom, left, right). I am sure every cinephile out there agrees with me: Kudos to the Ruscico crew! The Criterion Collection (www.criterionco.com) is currently working on releases of Stalker and Solaris. These releases are planned for 2002. The only officially confirmed title, however, is Ivan's Childhood, scheduled for release later this year. do not share your positive assessment of Ruscico. NOTE: A similar, but more strongly worded, letter appeared on The Criterion DVD Forum - reproduced below FYI. So I read threads like this one [ URL withheld ] with a great deal of concern. process of contacting the FBI again. want to see them on DVD but the editions being discussed are not legal. Michael Lellouche writes: I would like to tell you that Collected Screenplays in French [will be] published in two books. Incredible work, with also all short stories, exclusive things, unpublished material, his kino-novels, and also all original material novels from "Solaris" (Lem novel), "Stalker" etc. The novels are included. So many things. I will try to type an article on the French books which are so outstanding.